I am sitting in Washington-Dulles Airport, returning from Double Trouble’s first five days of rehearsal. It’s an interesting room. Six out seven actors are women as are the Director and Stage Manager so Jamie and I are in a curious, but natural, minority. Playwrights talk about the thrill of watching a scene they have imagined come to life with real actors in three dimensions. I can trump that with the experience of having a cast of talented musical theatre singers, and where more talented than in America, delivering my lyrics to the music of Marc Schubring and the orchestrations of Nico Gaik. It’s thrilling. But the music was the least of my worries. I was polishing and updating dialogue for at least three hours every night. The actors all have simple, direct questions about the characters, the scenes, their lines. It’s a struggle not to be defensive but so often the problem and the answer occur within seconds. We’re not talking about big concerns. Those were ironed out months ago but the details, where the devil is, are ultimately very important because they are so visible. But the overall arc of the play, when I squint my eyes and ignore the details, is really good, a credit to Kastner (the novelist). 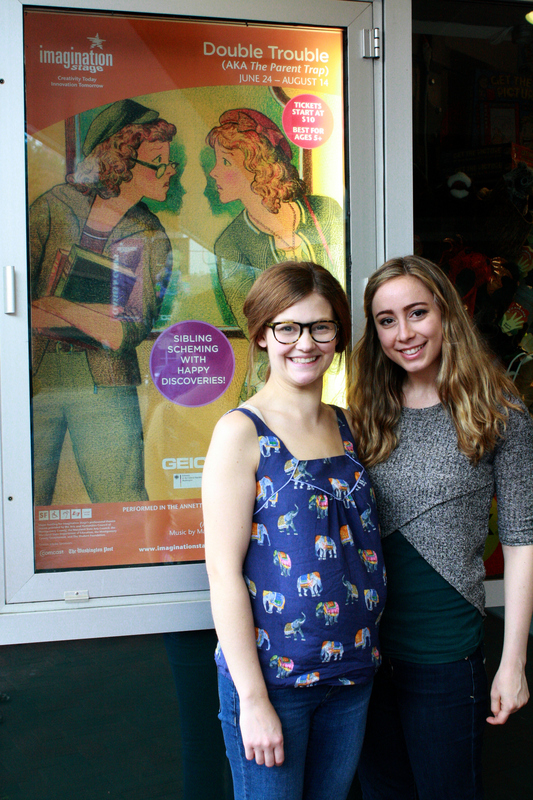 The first read/sing through, hastily rehearsed in three hours, left many of the Imagination Stage staffers in tears. The publicist hugged the Artistic Director and says, “Thank you!”, presumably because she felt she has something to sell. All good signs. I confess to weeping. The scene where the two re-united parents and Lisa sing to an unconscious Lottie would move a Rock Eater. I was on Skype with Marc (the composer) in Berlin throughout and the adjustments to the orchestrations rolled into our in boxes regularly. I will be on the receiving end of those email requests starting tomorrow. Bring it on. I’ll be back in Bethesda for Tech and Previews on June 23rd. Watch these pages! I came out of Mr. Burns: A Post Electric Play and thought “this is the future of theatre”. I was only partly talking about the play. I was most impressed by the audience who were overwhelmingly young. The kind of audience every established theatre in Toronto is desperately wooing. They should consider down scaling their facility. The Aztec Theatre on Gerrard East, for this production re-christened “historic”, is a dive – a grunge palace with sagging, faded plush seats, peeling black paint and dim lighting. It reminded me of Peter Brooke’s Theatre in Paris (Théâtre des Bouffes du Nord) which was renovated to look like a ruin. “America doesn’t have enough ruins”, Brooke opined, and the Brooklyn Academy of Music followed his lead. (confused patrons would wander around asking, “when will the renovations be over?”) But back to the Aztec. We were in an old movie theatre and we were treated to beer ($6) and popcorn ($5) from wandering costumed salespeople. We were relaxed. It was great. And packed. And the tickets were not cheap (use code SCORPIO to save 30%). All of this was proof that live theatre has a place in the hearts and wallets of young Torontonians. Sure, some of the attendance must accrue to the popularity of The Simpsons but that’s just good showmanship. And the show itself was great. Committed performances, wonky, low tech production values, direction, music, choreography, masks and some killer puppets. And the play…? Well, the play…? Sorry. Longer discussion. But let me say this. Playwright Anne Washburn has common cause with Sarah Ruhl (Passion Play last summer) and our own Jordan Tannahill. This is Theatre of Failure, a theatre of broken characters, a theatre with no linear narrative, a theatre that blends styles of performance and leaves a time bomb ticking in our hearts and minds. In a broken theatre. Runs until June 7th. I think one of the most interesting questions to ask right now is why, in the face of overwhelming scientific evidence, has there been so little done to reduce carbon emissions? Certainly, as I stare out my window at the trees bursting into life, it’s hard to imagine the planet is in peril yet the tells are obviously there. One explanation, brilliantly researched and laid out in Naomi Klein’s new book, “This Changes Everything: The Climate VS. Capitalism” is that multinational oil companies are to blame. These companies, she claims, have systematically muddied the scientific waters and, more directly, invested heavily in US politicians to vote for what they want. In essence, she asserts, the oil lobby has bought public opinion and government policy. If true, you could understand why Joe Citizen might get angry. Fury brought to the page, perhaps? 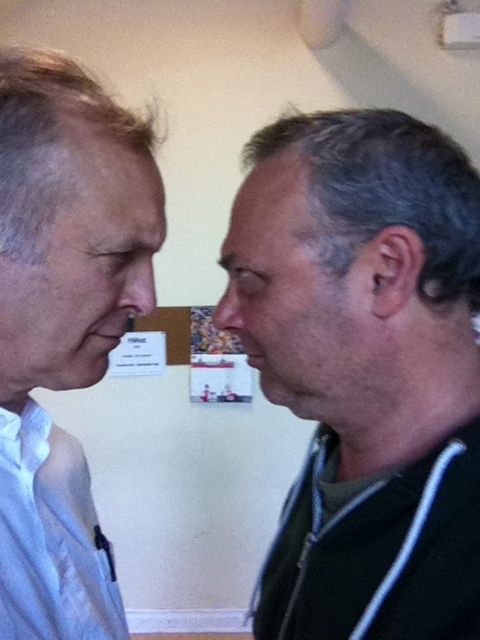 And that is essentially the premise of a new play that Richard Greenblatt and I have begun creating this week. It takes place in Tom Patinaud’s executive oil company office and it imagines what would happen if he was trapped in that room with a very irate, desperate and dangerous environmentalist. His name is Max and, having seen the movie last night, we can call him Mad Max. I have signed a serious non-disclosure agreement so I cannot tell you more about the plot but it’s going to be a smart, tense little hostage drama. Stay tuned. The movie Mad Max: Fury Road is also a tense drama but it is written on a huge, violent scale. But when the truck stops rolling, and the bullets stop flying, what we see is that the male leader, a tyrant with a harem of ‘wives’, has been killed (in combat) and the new leader (a fighter who protects the innocent) will be a woman (Charlize Theron with one arm missing) when the director/writer could easily have made that leader a man (Tom Hardy). I’m seeing this theme everywhere including my own Lysistrata. The traditional patriarchy, hierarchy (top down) is being replaced by strong women who lead teams of equals. Perhaps we need to change our culture, our environment if you will, so we can save our plant. 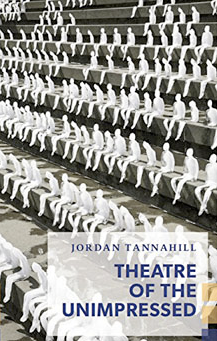 I have been spending the Victoria Day weekend reading Jordan Tannahill’s long form essay entitled “Theatre of the Unimpressed” (a play on Augusto Boal’s “Theatre of the Oppressed). When I was AD at Roseneath Theatre I produced Jordan’s one woman show, “Get Yourself Home Skyler James”. I think he was just 21 at the time although that had nothing to do with my decision, I just liked the script and so did the GG Award jury because, much later, that play–and two others–won the award for theatre. It’s nice to feel prophetic. But in this essay, Jordan throws down the gauntlet at realism, the well made play and the accepted formula for theatre production in favour of what he calls The Theatre of Failure. Failure in the sense that it is an essentially human experience that flies in the face of the polished and the predictable. It’s fascinating reading and, I think, a prophetic vision of where legit theatre needs to go to attract an audience. Monday I start with my old friend and colleague Richard Greenblatt for a two week development workshop on “Oil and Ice”. There are few places in Toronto where there is oxygen for playwrights, but one of them is the Tarragon Theatre. Each year, five playwrights are selected to form a unit who will meet four times in the following year to read each other’s plays or see them performed by professional actors. We, I am one, will largely, I suspect, be each other’s dramaturges. It will be a profound act of collegiality considering the disparity in our backgrounds. We met this past Monday. 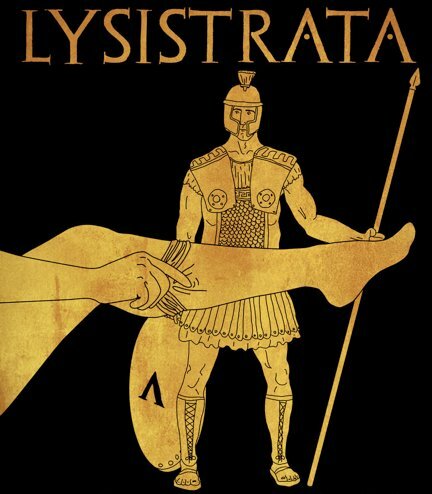 But we had a stimulating prologue to the first set of readings –scheduled for June (I will be developing Lysistrata) –by attending a three day lecture/discussion led by Richard Rose on his approach to script analysis and directing. Rose is a smart, experienced and successful theatre man. His remarks would probably be paint drying dull to a layman but they were fascinating to structure wonks (like me). 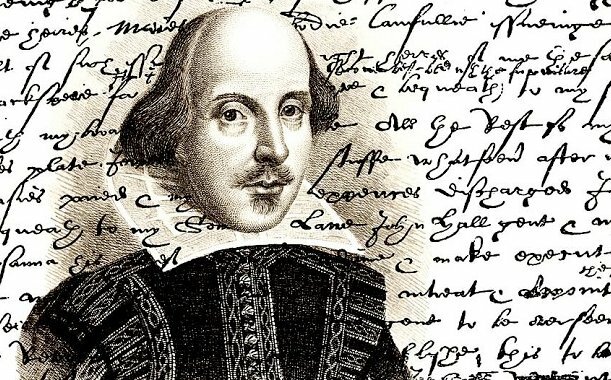 One of the revelations was that Shakespeare places his climax a little more than half way through the play (Act III, Sc. 1 or 2) instead of the penultimate event as prescribed in the Well Made Play. Through this lens the climax of Romeo and Juliet is Mercutio and Tybalt’s deaths which in modern practice occurs right before the intermission! Does that mean Act II is the denouement?! Obviously not. The climax creates a situation that that the hero must unravel through the rest of the narrative. Quite like, I realized to my surprise, my own Having Hope at Home. It’s good to be able to breathe. While I have always enjoyed historical fiction, a narrative that throws the reader back into time, some of my most enjoyable reading experiences have been when an author has thrown me into the future or into a world of his or her own imagining. Dune, The Lord of the Rings, the work of Isaac Asimov, Heinlein etc. are a few excellent examples. Films relish and exploit this form but the theatre not so much. In my own work, Dib and Dob and the Journey Home and Head à Tête are set in imaginary worlds with, in one case, imaginary languages but my current work on draft three of Lysistrata and the Temple of Gaia is stretching my expositional skill’s to the max. The world of this play is set in 2080 in a land called Grace which is what the Greek empire of antiquity morphed into when their ‘Golden Age’ never ended. What is more important is that this world has done nothing to reduce climate emissions and so the “weather” has gone nuts. Storms suddenly appear and then vanish and temperatures rise to hot and plummet to freezing in minutes. All very actable onstage. But what is interesting is that the characters never comment on these extremes. They have, incrementally, become accustomed because, well, what can you do? “It’s the weather?” Wild birds have disappeared. ‘Wild water’ is untouchable. All farming is done indoors. It is, I think, a fair prophetic vision if we (we writ globally) do nothing about climate change and it certainly appears we are not. We will adapt. We will forget what has been lost (the East Coast cod fishery for example) and we will live as best we can. Now it’s easy for me to explain this to you in prose but in dialogue it must be implied and that has been my challenge this week. Still experimenting with radical acts of gratitude (“thank you for reading!”) and never passing a pan handler without handing (watch out for Bay and Bloor!). There’s a lot of interesting information coming from the world of Positive Psychology. This is the arm of psych which looks at what makes us happy instead of what makes us sick. Turns out the more we make, the more education we have, the unhappier we get and cities, Toronto in particular, are sadness centres. It’s ‘sad’ to be told your hometown is sad (or, as my wife asserts, “grumpy”) but the good news is that happiness is a muscle you can strengthen like a bicep curl. 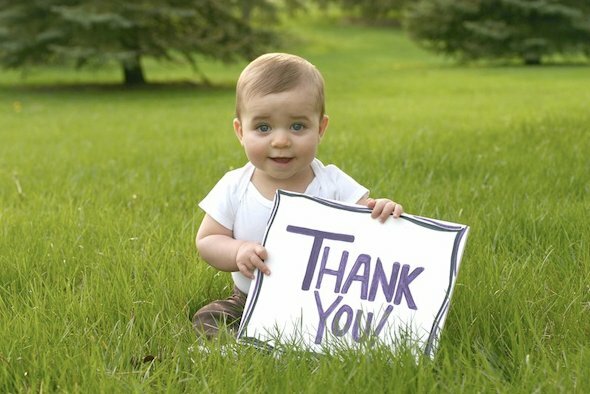 Being grateful, showing gratitude, being polite, being positive is both corny and, OK don’t sneer, really transformational. Happiness is a choice. You can learn optimism, compassion and gratitude. Don’t believe me? Hey, it was on the National, so there (see link above). Combined with other sneer inducing research on the science of happiness from books like “How Full is Your Bucket” and I decided to give it a try. Now, I would self-describe as a worrier. I feel the book “Only the Paranoid Survive” was written for me. So I am not naturally optimistic about the world around me. It’s not my natural ground zero. So it’s a bit of a stretch, sneers aside, to scan that same landscape for things that are ‘wonderful’. It’s not exactly like work but it certainly is, as Sean Achor a Harvard researcher says, “a decision”. Ten minutes ago I sent the first draft of Frenchys: The Thrift Musical to my composer John Roby. 80 pages. Lyrics for 12 songs. 3 ½ months. My friend Michelle Fisk immediately said, “that was fast!” “Compared to what?” I wondered. Expectations are the mother of all disappointment. I had wanted to finish the work in three months so it felt slow. Compared to the great Gustave Flaubert, who apparently said in a letter “Great Progress! Today I wrote a paragraph!”, I am flying. But ‘flying’ was the strategy. My practice for the past 15 years has been to write prose descriptions of every beat of dialogue before I wrote any dialogue. (A beat of dialogue in a play is somewhat like a paragraph in a novel.) This results in a prose document that is almost as long as the finished play but allows a host of practical decisions to be made before one allows the emotions of the characters to sweep over you. It is a structual, emotional blueprint. You never have to wonder, “what’s next?” With that document beside you, you know exactly what’s next and you can concentrate on, not what the characters will say, but how they will say it. This focusses the creative imagination in a marvelous way. The downside is that it’s deadly boring. Three hours is all I can do at one time. I showed John ten rough, ‘wip-em-off’, pages of dialogue for Frenchys last December and he said, “This is great! Keep on going!” So I did. There were moments of acute vertigo. Moments where I passed over obvious problems, lyrical and narrative, but there was a ‘caution to the wind’ kind of energy to the writing, a blasting through to the fun of the piece, that John, who will be the only one ever to read the play in its present form, unfailingly thought had promise. May it be so! 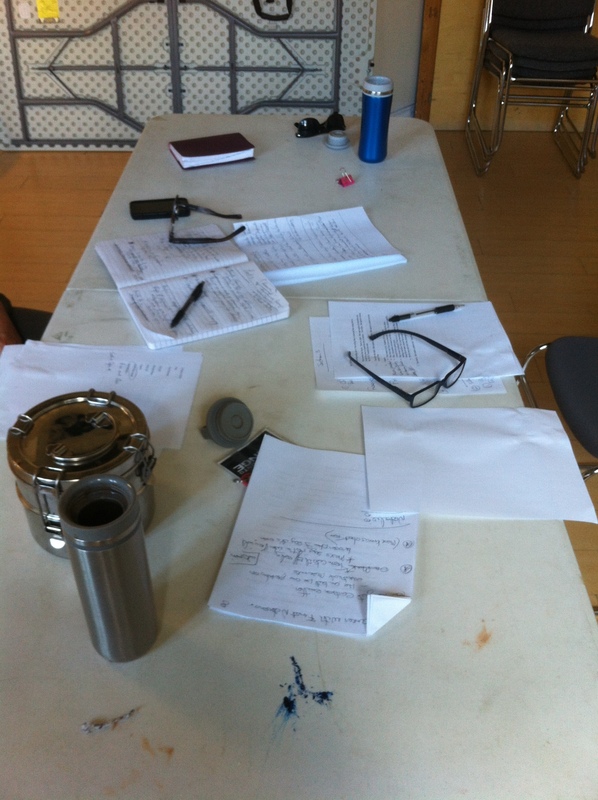 Monday I start re-writes for Lysistrata towards a June reading at Tarragon. This week the happy news is that, despite the fact that neither of my children has won the Nobel Peace Prize, I am within two songs of completing Frenchys. It’s not quite a ‘ta-da’ moment but it is solid progress. I took the morning off Wednesday and attended the launch of an interesting project funded by the Ministry of Education through the brilliant people at The Elementary Teachers Federation. (If you think unions are passé, these guys prove the lie). Every school in the province will receive a series of nine stories (penned by moi même) which give a child’s perspective of being left out of organized sport. Each story ends without a ready solution allowing the kids to come up with their own. Then, through words and images, they create a ‘brick’ (a 10” X 6” square of cardboard). Thousands of these bricks will wing their way to Toronto where they will be assembled into an art piece and then displayed at Pride House during the Pan-Am Games. Low cost. Highly creative. And maybe, just maybe, we can create a sporting culture where all are welcome regardless of gifts – personal or economic. 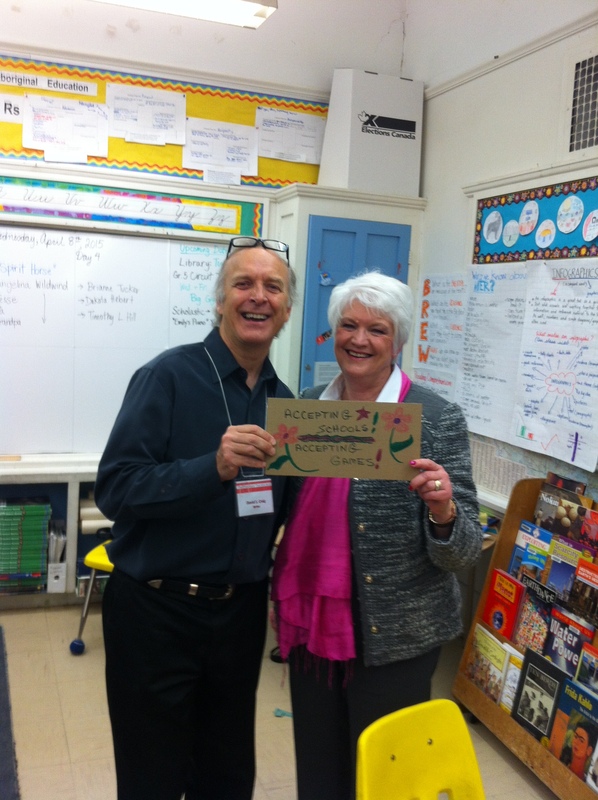 David S. Craig and Education Minister Liz Sandals. I attended three great theatrical events this week. Hannah Moscovitch’s new piece, Infinity at the Tarragon was last Sunday. I admire Ms. M’s plays and this play was very well written, performed and directed. I admired it enormously. But I had one quib. There was a character in this story who was sad and wasn’t doing much about it. One of the great appeals of drama is watching people who are in deep water. Deep, boiling, poisonous, shark infested waters is best, if it is believable, because a character who can survive that would be really worth watching. But essentially any deep water will do. The rule is this – If the character is trying to get out of the water, it’s interesting. If the character simply treads water and whines, regardless of eloquence, they are not. Hamlet gives his “To be or not to be speech” in an attempt to get out of his predicament not to say “woe is me”. My aversion to whining is not just because my mother was so firmly against the practice but because if a character is sad, discontented etc. and doesn’t do anything about it, the audience will, internally, start making suggestions. “For god sake, why don’t you just leave him!” or “Why can’t she just accept him as he is? After all, he’s clearly a genius” or “Oh just get on with your life and leave him in your wake”. 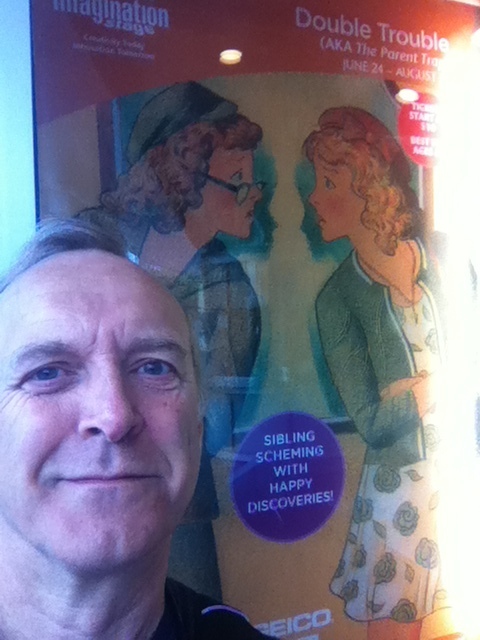 I was equally admiring of Paul Dunn’s new play Outside produced by Roseneath Theatre. This depiction of two straight kids trying to start a gay-straight alliance is going to make a huge impact (and rattle some cages that need rattling). Bravo. And finally if you have never seen a performance by Toronto’s L’Arche Community (founded by Jean Vanier) you are missing something utterly unique. I saw their latest collective creation and the blending of core members, who have mental or physical handicaps, with able-bodied actors is instantly heart opening. I awake each morning torn between the desire to save the world and a desire to savour the world. This makes it hard to plan my day. I awake each morning torn between the desire the finish the first draft of Frenchys and the desire to do just about anything else. The problem, the only problem I would propose, with playwrighting is that unless you have the wit and genius of Noel Coward, the gap between inspiration and gratification is very, very long indeed. Oh yes, I know the trope about “enjoying the journey” but the fact is I write imagining an audience responding – an audience that isn’t there – an audience that won’t be there for a couple of years. And so I am attracted by glittering jewels of present activity, moments that can be wrapped up in a matter of minutes or hours – a hand of bridge for example. Or erasing emails. Or a nice lunch with Stewart Arnott who kindly commented on Lysistrata. Or, a more theatrical endeavour, preparing and cooking a dinner party (Fruit stuffed Cornish Rock Hens with asparagus, fiddleheads and pureed cauliflower). I did all three of these things this week as well as recovering from Jim Warren’s birthday party, leading a workshop on faith journeys in Orillia and writing a toast for Ida Pitman (Walter Pitman’s wonderful wife) who is celebrating her ninetieth birthday today. 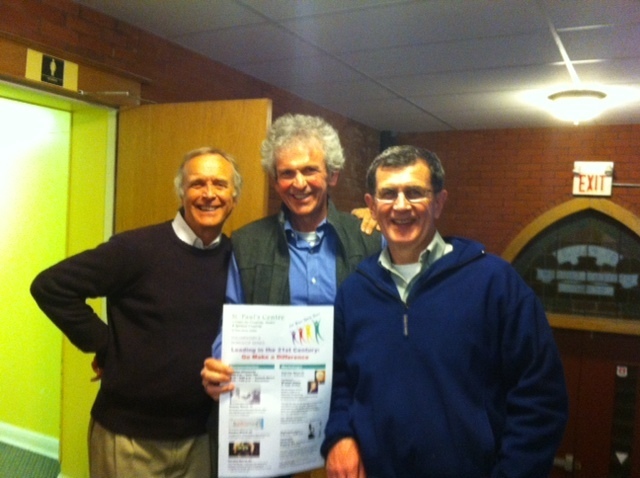 With Rev Ted Reeve (centre) and Bob Savaria in Orillia. Oh, and dinner with my brother after watching Kingsman which seems to prove that modern pulp cinema is in a nose dive. But the result of all this “savouring”, as Mr. White says above, is that the page count on the play has not been rising nearly as fast as I would like. Not that Frenchys will save the world. It could be sub-titled “no redeeming features” except that it will be funny. In places, I suspect, screamingly funny. But I will have to wait a couple of years (or more) to find out! Sigh. It’s a first world problem. Next week will be better.